Published on 01. 02. 2016 in commentary and criticism and current affairs. 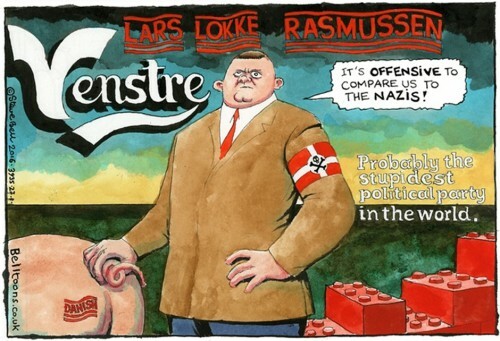 Closed Tags: Denmark, Lars Løkke Rasmussen, migration, Muhammad cartoons, Steve Bell. Published on 12. 12. 2011 in current affairs, letters and music. Closed Tags: Brother Ali, Chrsitopher Tayler, David Cameron, Georg Metz, Muhammad cartoons, Peter Mandelson, Takashi Murakami, The Euro. Amidst the turmoil in Brussels, which I’ve found rather hard to make sense of, one piece of less equivocally positive news emerged this week, namely that Mumia Abu-Jamal, who has spent thirty years on death row in Pennsylvania has finally had his death sentence revoked in favor of life behind bars. This is a major symbolic victory in the struggle against the death penalty and in his personal efforts to prove his innocence. Convicted in 1981 for the murder of police officer Daniel Faulkner on the basis of highly dubious evidence and testimonies, his has become something of a cause celèbre for opponents of the death penalty and critics of the American penal system, a speaking, highly-articulate symbol of all that’s wrong with both (hear him talking about the “prison-industrial complex” in the clip above). Abu-Jamal has faced execution several times in his three decades as a prisoner and each time he and his counsel succeeded in postponing what seemed inevitable for the longest time. To have the sentence deferred this way, especially after the disgraceful recent execution of the similarly dubiously convicted Troy Davis, is a victory for human rights. Abu-Jamal may be guilty, but he hasn’t been given a fair trial. The Philadelphia District Attorney didn’t seem disposed toward giving him one anytime soon when he announced the news, but we may still hope that it will happen eventually. For him and the many other people who share his fate in the American penal system. Peter Mandelson on Britain’s Euro veto. Excellent analysis of Britain’s predicament. For Danish readers: Georg Metz om lækagesagen. 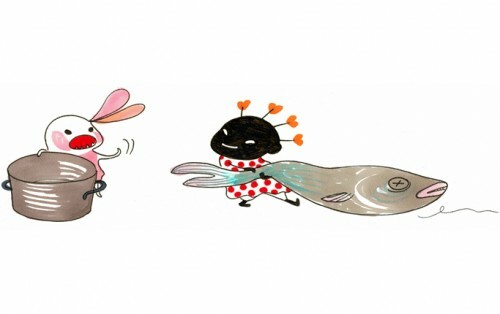 Som altid er pennen skarp og som ofte er tonen tæt på det skingre, men sagen kalder ligesom på det. Christopher Tayler on Murakami. A review of the new novel, 1Q84, taken as an opportunity incisively to examine the oeuvre. Good reading! Ligeledes for danskerne: Rhymesayers MC og troende muslim Brother Ali snakker om Muhammedtegningerne i et interview fra Roskilde sidste år.